It’s no mean feat to obtain a Tea Sommelier diploma. First, the candidate must answer 24 open questions in just an hour. Then they must prepare, in front of three examiners, a tasting of six teas from among 22. The leaves placed in front of the applicant have no written indication of their type, colour or origin. Then they must perform a task chosen at random: prepare a matcha tea correctly, serve tea in a kyusu, or serve a pu erh using the gong fu method. That’s what this esteemed exam consists of, meaning that those who obtain the diploma are true experts! Here, I’m meeting some of them, with my assistant watching on. 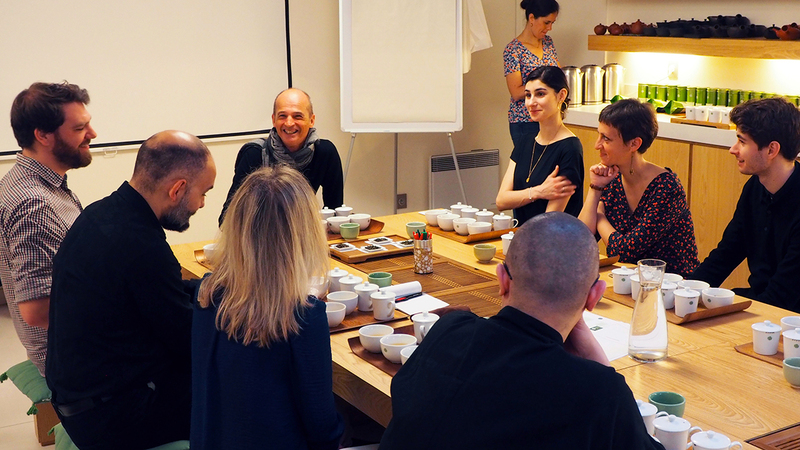 Bénédicte has infused a few premium teas, which we are discussing.